ARCATA — Humboldt State University’s third annual Fred Korematsu Day of Civil Liberties will be held Wednesday, Jan. 28, from 5 to 8 p.m. in the Kate Buchanan Room on the HSU campus. In 1942, Fred Korematsu was arrested for refusing to go to a World War II incarceration camp for Japanese Americans. He appealed his case all the way to the Supreme Court, which ruled against him. The court said the incarceration was justified due to military necessity. Forty years later, the discovery of new evidence allowed Korematsu to reopen his case with pro-bono lawyers. In 1983, a federal court in San Francisco overturned his conviction. It was a pivotal moment in civil rights history. In 1998, Korematsu received the Presidential Medal of Freedom, the nation’s highest civilian award, from President Bill Clinton. 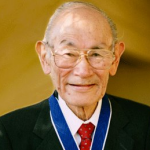 Korematsu passed away in 2005 at the age of 86. In 2010, California passed a bill marking every Jan. 30 (Korematsu’s birthday) as Fred Korematsu Day of Civil Liberties. It is the first day in U.S. history named after an Asian American. Presented by the MultiCultural Center, Associated Students, and HSU Library. HSU is located at 1 Harpst St., Arcata. For directions or a campus map, visit www.humboldt.edu. 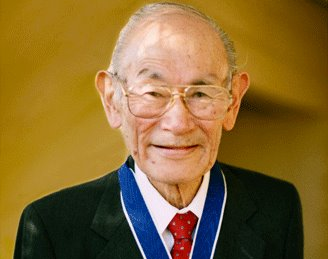 For more information on Fred Korematsu Day, visit http://korematsuinstitute.org.